I have got some RNAseq data from Mus Musculus using TruSeq Stranded Total RNA in paired-end. I want to count my reads over my genes regarding to the gene orientation. As if a gene is plus strand, reads on forward strand falling into my plus gene area should be counted and if a gene is minus strand, reads on reverse strand falling into my minus gene area should be counted. I created my index with a gencode reference genome and I did my alignments using STAR with the --quantMode and an annotation file from gencode. I've got my _Aligned.sortedByCoord.out.bam and _ReadsPerGene.out.tab. Ok, good I have Hmgb2 plus strand and Ighm minus strand. Note : As paired-end Illumina sequencing is R1 forward and R2 reverse, I was expecting R1 to lead the forward strand, which is not my case but anyway, it is not the point, R2 is leading the forward strand. Reading the documentation of STAR, part 7.Counting number of reads per gene. Select the output according to the strandedness of your data. Note, that if you have stranded data and choose one of the columns 3 or 4, the other column (4 or 3) will give you the count of antisense reads. So, what I get is that, either the 3rd column give me my sense count or antisense, and the 4th will give me the opposite strand result. All my high counts are in the 4th column... Did I forgot to tweak some options ? Most standard stranded Illumina RNA-Seq (e.g. TruSeq) sequencing protocols sequence the first strand of the cDNA which is generated by reverse transcribing the mRNA. What this means is that most of your "fragments" (i.e. reads) from a given feature are on the reverse strand. If it is not clear from the above statement. The counts in the "reverse" column are your actual feature counts. If you use something like Y-shaped adapters then your reads are generally not anti-sense (e.g. 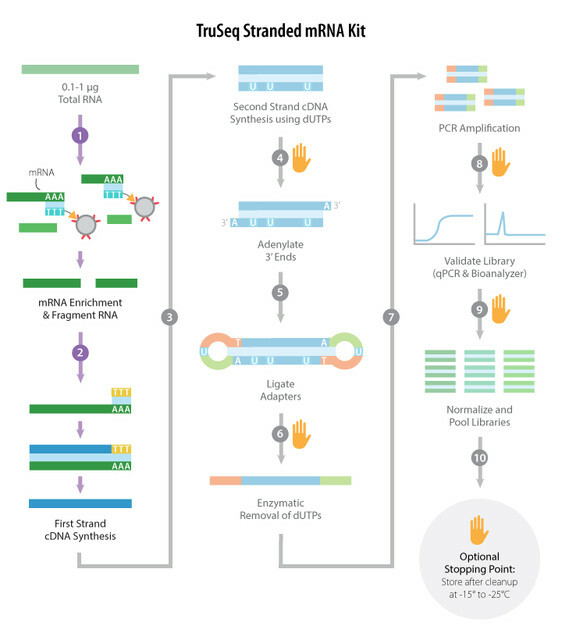 smallRNA kit). It does not bother me to have my count in the antisense column but I was expecting my gene counts from 2 genes stranded in different way to be in different column. Unless, a read is counted in the feature strandness ? Like, one read in reverse in a minus strand gene is counted as forward ? Since not everyone does paired end, the first read is what is used for strand determination. Your fragment corresponds to the complement of your actual mRNA, so your first read will be anti-sense and your second read will be sense. Making the call based on R1 is logical because for Illumina single-end sequencing you are just sequencing read #1 - so in all possible cases you have read #1. Something is off about Biostars and images...I can see the images fine on my phone, but not at my work desktop. Most stranded libraries produced in the past ~7 years should correspond to the counts in the last column, wherein read 2's orientation matches that of the transcript. The description you linked to is wrong. Column 2 is for unstranded libraries, so the strand of a feature on the genome is ignored. Column 3 assumes that the first read in a pair's orientation matches that of the originating fragment (this is rarely the case) and column four the same but for read 2. TruSeq kits use the standard method, so the last column is correct. Thanks Devon. If i'm interesting in anti-sense transcript I need the 3rd column then ?